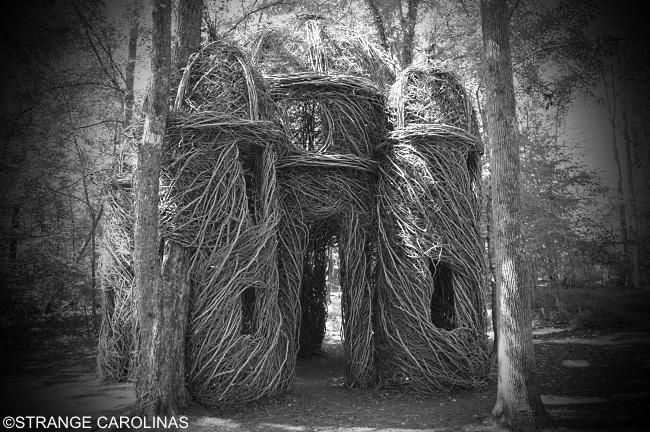 When we first saw this structure pop up on the Instagram feed of our buddy Kenny Caperton (the guy who is such a fan of the movie Halloween, he built and lives in a replica of the Michael Myers house in Hillsborough), we immediately thought it looked like the Blair Witch stopped making all those stickmen and decided to build herself a proper house with the sticks. 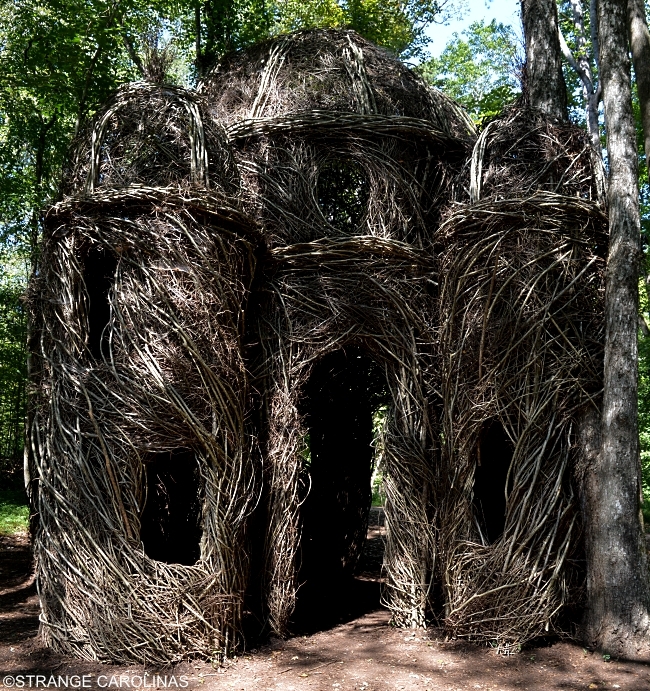 Actually, the structure is a commissioned work from respected artist Patrick Dougherty and it's amazing. Standing 21 feet tall, "a sight to behold" was created with southern sugar maple, sweetgum, and elm saplings. You won't have to travel to Burkittsville, Maryland to check it out as it can easily be found on Hillsborough's Riverwalk. 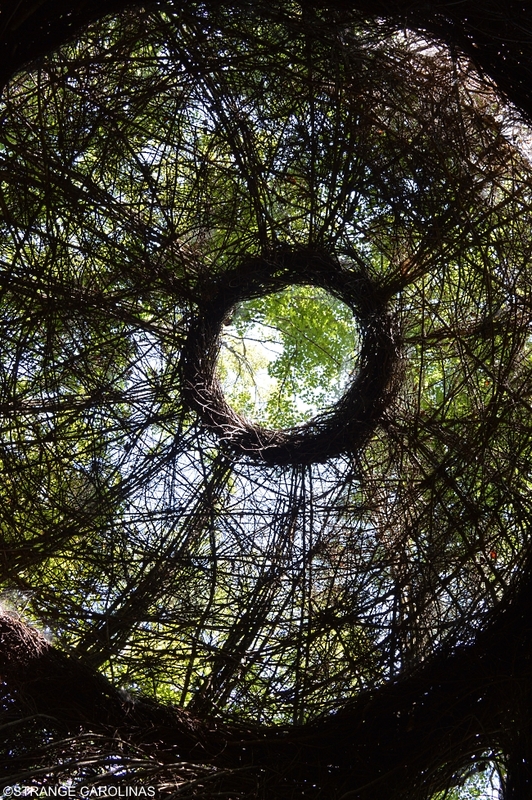 But you will need to hurry if you would like to see "a sight to behold" in person. 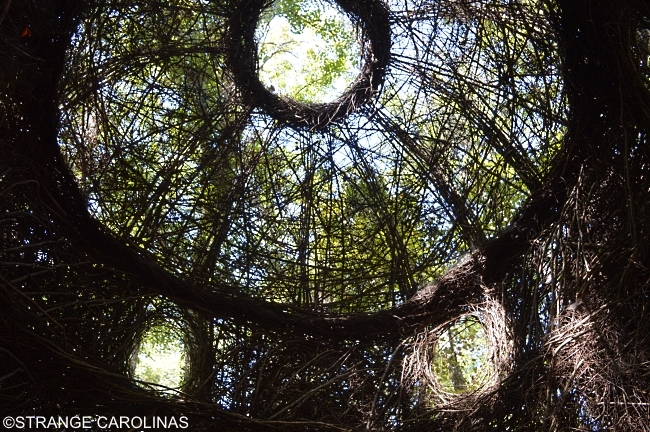 The piece was installed in November 2015 and under normal weather conditions is forecasted to last about two years.